James' parents were killed by an escaped rhinoceros when he was small and now he has to live with his horrid aunts who call him names, beat him up and starve him. A mystery visitor with a bag of crocodile tongues provides a means for him to escape this life of misery. 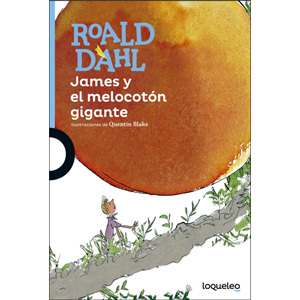 James y el melocotón gigante is intended for native Spanish readers. It would suit a child aged 7+ if they were fluent in Spanish. Otherwise, this would be excellent reading material for older students wanting something a little different, or perhaps for a fluent parent to read to a younger child. This book is published in Spain and uses Castilian (European) Spanish.